As you can probably tell I’m a huge fan of the new TV show Utopia. And I like to talk about it, a lot, mostly on Twitter. (@tvtater) Recently I’ve seen a lot of people online exhibit no interest in watching the show, or outright dissing it. The most common complaint is “there’s no contest, there’s no winner.” Yes, it’s true, Julie Chen is not there to spoon feed you artificial conflict. But if you are willing to invest a few more brain cells then the dozen or so Allison Grodner challenged you to use watching reality tv the last 14 years, you’ll see that there is much more ‘game’ to Utopia then your initial impression. First up, yes, it’s true – there is no winner, and no prize. But that’s not why we watch these shows. 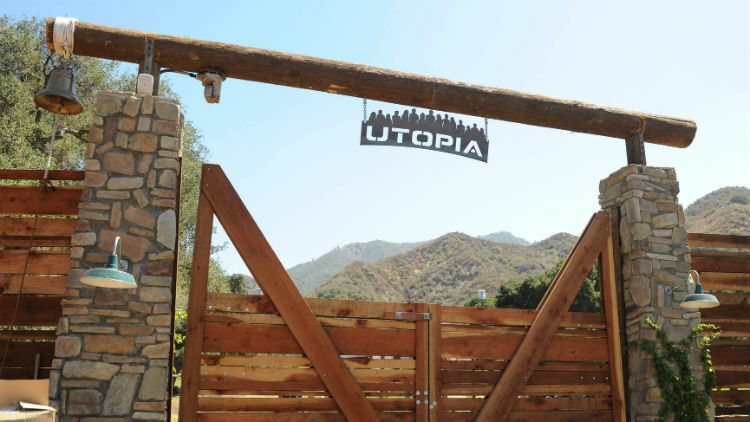 We watch to see who we love (or hate) get evicted, and that happens on Utopia at least once a month. (plus a few self evictions, 2 so far in the first month!) They haven’t shown that side of the show yet on the TV program, but it’s coming, and the Utopians know about it. They’ve been talking more and more lately as the end of the first month approaches about who they will and won’t vote for. Kristen in particular is running around seed planting drama to make others look undesirable to keep in Utopia. The second real reason we watch Reality TV is the power struggle. Usually this revolves around which power is going to control evictions, but in utopia the power struggle is so much more, it’s about food, and money, and doing chores and a lot of other little things. The stress is building because all these self centered jerks want to be the boss and are waiting for someone else to do the grunt work. And it’s only going to get worse. Right now they are all sleeping on the floor. Soon decisions will have to be made about real sleeping arrangements. Will it be boys in one area and girls in the other? Will couples get their own private rooms? As I type this there is a huge fight going one because Utopia is running out of money because everyone keeps phoning in their own orders for groceries and supplies instead of having one central purchasing person controlling the spending. Third up is all the personal relationship stuff. Oh sure, other shows have fake showmances; in those tiny apartment sizes houses it’s hard to get away from the group. In Utopia, if you want privacy from others (but not from the cameras) you can find it. And Utopia is a year long, so the nesting mentality is setting in a little stronger. Expect drama as these couples have clashes with each other over anything and everything. When Big Brother is over in a week or two, and with Survivor only taking up an hour of your week, when you find that empty hole in your soul that can only be filled by the drama and conflict of reality TV, take a few hours, watch the free feeds, and enjoy your visit to Utopia.